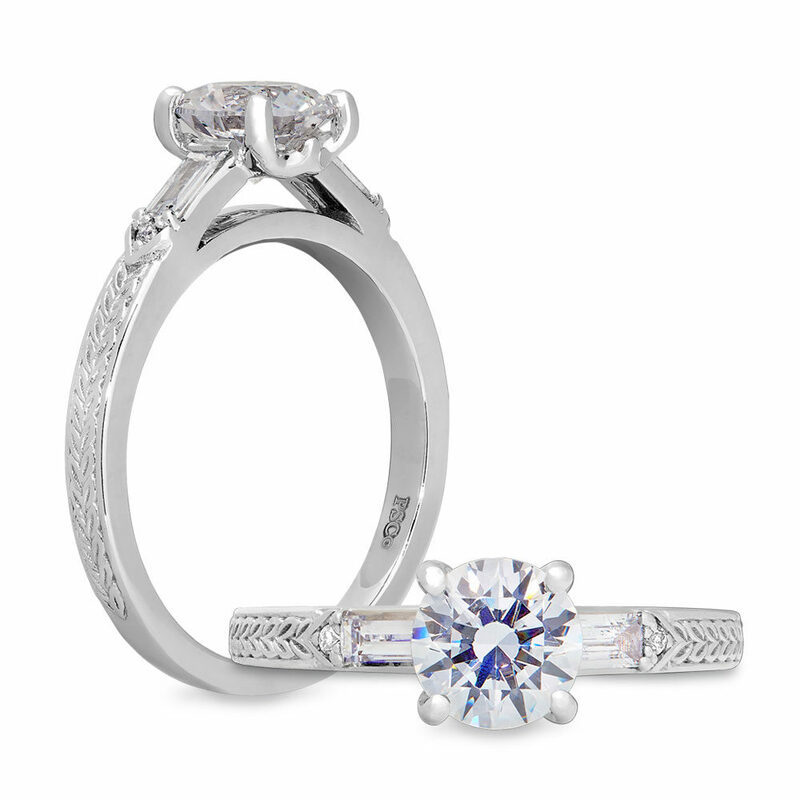 Elegant twist on three stone ring. Single baguette on each side of stone, etching on the band. Comes in blue sapphire.